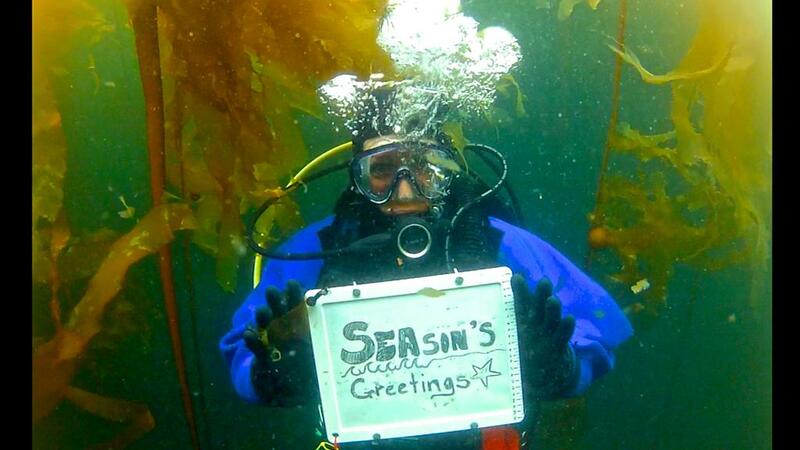 From all of us here at Floating Forests, hope you’re having a great holiday! And after some time with the tree, nog, or after the menorah has burned down, join the over 3000 other folk out there and help us hunt down some kelp! And thanks to FF Fan Jenn Burt for an image that sums it all up.